It was a blessing to have a supporting pastor visit us this past week. Pastor Pechardo was sent out by our home church several years ago to start a church in northern California. As a church-planter he understands the struggles and the blessings of starting a work from the ground up. Our new church here in Phnom Penh was blessed not only to hear him preach but also to hear the report of how God is blessing the new church in Daly City, California. This was our first time to have an outsider preach to the church and we feel like our people received him very well. 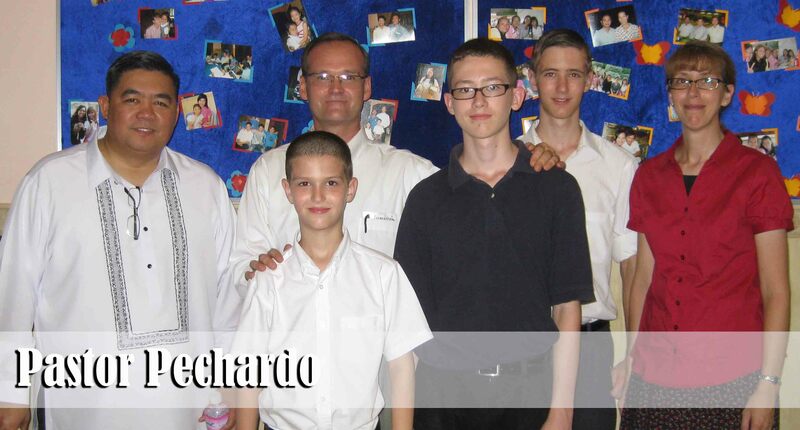 We have included a picture of Pastor Pechardo for the benefit of those of you who know him. It has been a blessing to see the new believers growing in their knowledge and obedience to the Lord. We are seeing several of the new Christians taking important steps of obedience in their walk with the Lord. This past week one of our ladies led a 17 year old girl to the Lord. 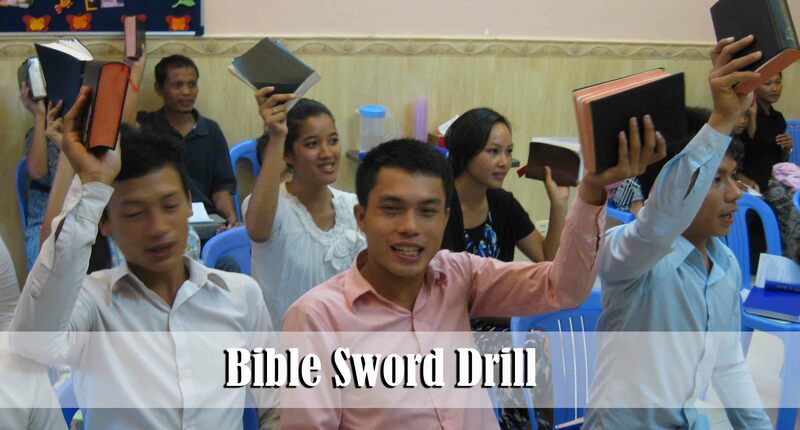 In order to help them become more proficient at finding verses in the Bible, we often have a Bible Sword drill during the Sunday evening service. This always brings a lot of excitement during the service as we break into five teams and the winning team always receives a small prize. Some of them are getting so fast at finding the verses that it is even difficult for our own children to beat them. Joshua was happy this past Sunday night as he finally beat them! 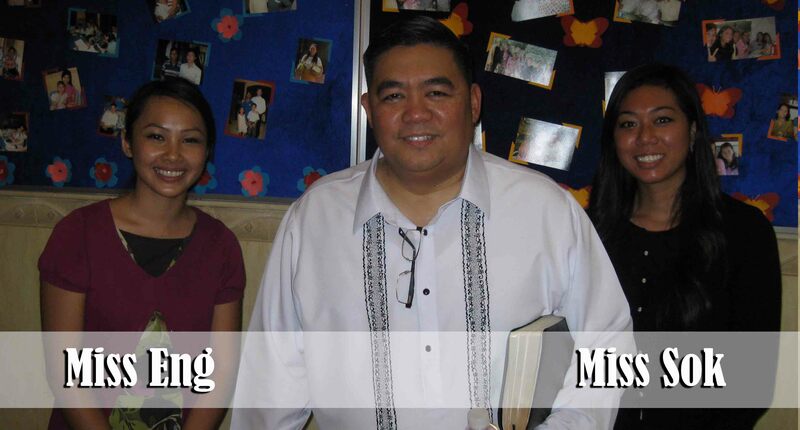 Please continue to pray for the salvation of Sopheap. As you know, she is the wife of one of our very faithful men. She is evidently under conviction regarding her need of salvation. The thing that seems to be holding her back is the fact that she knows the community will turn on her once she accepts Christ as her Saviour. She has already seen this happen to her husband. She is having a hard time realizing that she is going to have to turn her back on much of her culture. This past week I taught from Proverbs 29:25 which states, “The fear of man bringeth a snare: but whoso putteth his trust in the Lord shall be safe.” Right now it seems like she is counting the cost. This is much better than someone making a shallow and false profession of faith with no intention of turning “… to God from idols to serve the living and true God.” 1 Thessalonians 1:9. 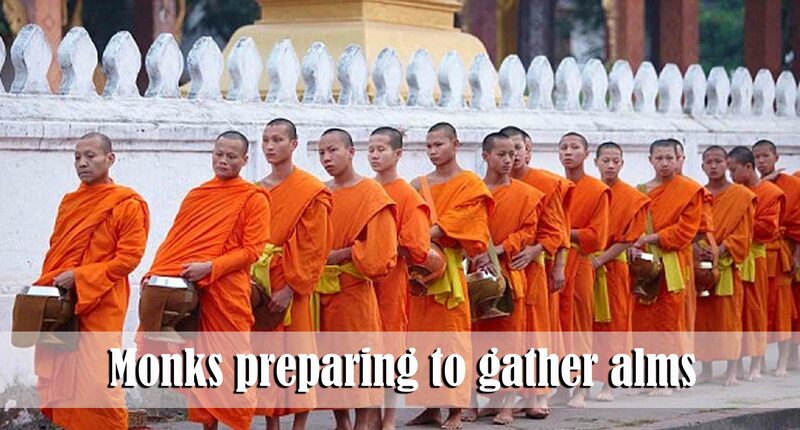 On a daily basis the Buddhist monks stand in front of Sinath’s home just feet from where he is working as a self-employed tailor and they wait for him to give them an offering. Every day he ignores them and continues on with his work of sewing as though they were not even there. He was a bit amused this past week to actually have one of the monks curse him. It was a blessing yesterday to look out my office window as the monks walked past Sopheap and to see her totally ignore them as well. I believe she will be saved soon. Please pray to she will put her trust in the Lord and stop fearing her culture. Please pray for a situation that has arisen with some of our believers. It seems that a group from America has attached themselves to one of our young men and offered him a big salary if he will leave us and go with them. He belongs to an ethnic minority group here that has very few true Christians. The salary they are offering him is easily four times what anyone should expect to make here in this country. Unfortunately it seems as though this young man has been drawn away by his apparent love of materialism. The worst part is that he is putting pressure on his family members to leave and go with him. As of now the members of his family are confronting him with the Truth of God’s Word and it has made him so angry that he is threatening to throw them all out of the house because they are choosing to follow God rather than follow him. We know that this situation has been brought about by the devil to try and frustrate what God wants to do among the Cham people. It is unfortunate that now that group is going to the village and bringing their watered-down version of the “gospel.” It is bringing a lot of confusion to those with whom we have been working. On one hand they see that the doctrine this group is trying to teach them is very different from the Bible and what we and another Baptist church has taught them. On the other hand this group is bringing lots of money with them. I am meeting with four of these young men for several hours each week and helping them to understand exactly why we believe what we believe. They have stated unequivocally that they are not going to be deceived by false doctrine or false practice and they have no intention of joining with the one who is trying to pull them away. Pray that they will have the strength of their conviction to not compromise and that the one who has left us to go with this baptismal-regeneration group will be brought to repentance by whatever means necessary before he can do much damage.